I've followed the events of the Syrian war since the beginning out of general interest. It really is this absurdly complicated and outside nations supportive of the rebels gave up because it was too hard to keep track of all the groups forming, dissolving, and alligning themselves to each other. There was a government air base that was under siege for what I remember to be 3 years on the other side of the county and so those pockets of different factions is spot on. Edit: Example of when it got complicated. Mind you, there was no solid information of what Al-Queda (islamic front) and Free Syrian Army (an ad hoc of seperate alliances) controlled, so that's not depicted in great detail. Edit2: The most northern green blob was a very different group all together and alligned with Turkey. In most respects rewarding, though the financial cost was criminal. People talk of sleep deprivation, but that's really only bad if you have a job or have poor time management skills. I recall only on all nighter. The stress was there but there's something to be said of accepting it as temporary. What makes college great is the oppoetunity to learn and grow as an individual if you so choose. Taking advantage of opportunities as they arrive is crucial to being successful. College is not a sprint but a marathon. If what you can only accomplish is average, do well to at least internalize what knowledge you gain. You're not expected after college to memorize the facts that get you an A on an exam but to instead apply the theory. Unfortunately if you're an American, there will be plenty of Asian Longhorned tick in your backyard. The mom and pop shops might not have paid well either, but it's the growing monopsony in most industries that's stifling the competitiveness of wages. While yes, they are not cutthroat efficient, there's something to be said of the identity these shops provide to a community if they excel at their trade. It took a noticeable hit to air traffic commerce to end the shutdown, not food lines of federal employees and stories of rationing medicine. This is disgusting and one of the greatest displays of apathy. How is New York or Tennessee not in the top 10?! This is all kinds of messed up. Where I live now is very low on that list but my insurance is very high because of higher the risk of accident and number of uninsured drivers. I don't think he's opposed to a declaration of emergency. It's the authoritative solution that you'd expect of the people he adores such as Erdogen. It's probably his cabinet that understand how bad of precident it sets and are discouraging him from enacting a statr of emergency. It'll never elect a democrat as senator you mean. I wish people understood that there's a deep blue pocket in Louisville that consistently votes blue and sends a representative. People in Louisville are largely in agreement with the rest of the country on Mitch and every time he visits the city he faces fierce protests and is heckled. Had a buddy's sandwich taken out out of his bag on the ground, had the sandwich bag removed, and eaten by a black bear 50 feet in front of us. Black bears are very skittish and really do scavenge most of the time. Was scared more of moose than anything in my time in bear country. I had to skim through many parts (super long paper), so pm me if there's any stuff that complicates further what I said. I delved more into the topic and found a much more extensive article by the same author. He posits that the Precordillera was a marginal plateau that developed south of the Ouchita margin and that "crustal thinning during the Early Cambrian is indicated by the redbeds and evaporites of the Cerro Totora Formation." He also posits that in the Cambrian, it had become its own microplate despite subsequent sea level change and subsidence of peripheral margins of the Taconic orogenic belt being evident in the Precordillera. 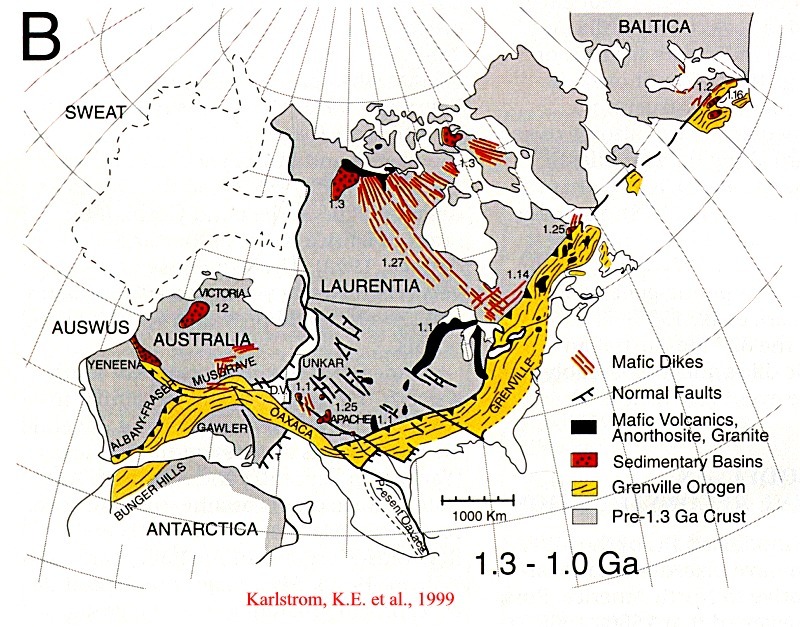 It is not wrong to say that Appalachian and Precordillan terrane were intimately connected, it is just that the region was already rifting away during the Taconic orogeny and never exhibits compressional features until the late Silurian/Devonian when it collides with Gondwana, well after development of a fault scarp in the early Silurian. Tl;dr: The Precordillera separated from North America (Texas particularly) before colliding with Gondwana (what included South America). 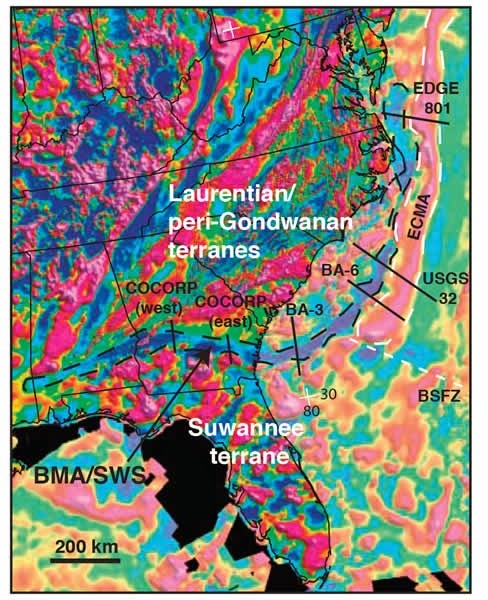 While the collision is of Appalachian mountain building age, it was its own mini-plate and would have drifted off to sea if not for Gondwana being in the way. I cannot say ive read much about the the Argentine Precordilla, but my cursory search just now says it rifted off of North America during the Ordovician before the onset of even the Taconic orogeny in New England. The best paper I could find on the topic is this. Edit; If you have any contradictory resources, please share! That would be very interesting. Edit2: Further investigating on my own part supports what I said, more details can be found in replies to this comment thread. Geology rocks! Also the tallest parts of thr mountain range were where the coast line exists today. It sounds counter intuitive, but that area sank after seperation of supercontinent Pangeae from extensional (pulling apart) forces. Much of the Appalachian range consists of sediment eroded from the highest regions in what are called clastic wedges. To talk about even crazier stuff, there was another collision along the same area over a billion years ago during the formation of the sparsely talked about supercontinent Rodinia. 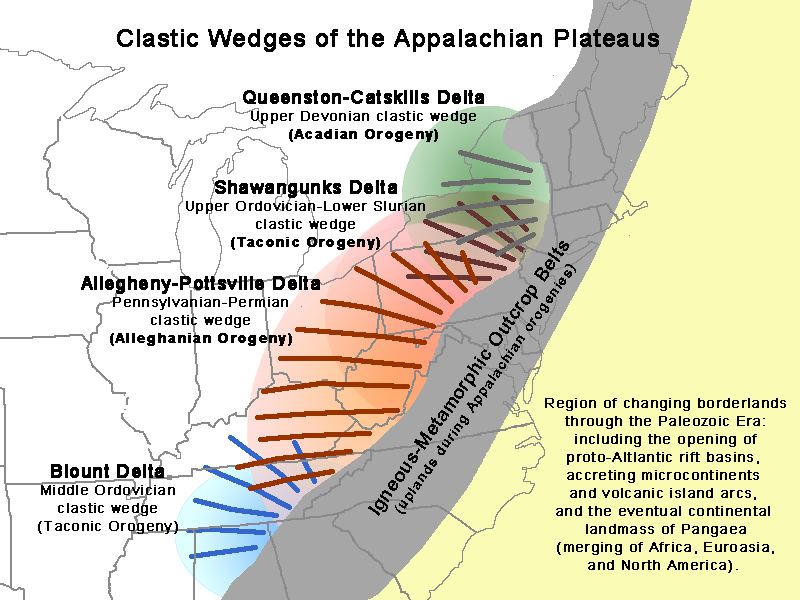 Edit: Link to a map of the wedges I'm talking about. Here is a map of the North American extent of that ancient mountain building event. Edit2: I forgot to mention that Florida before the collision of Africa and North America (Atlas range of Africa was involved in this Appalachian madness too) was attached to Africa and only left behind after seperation of Pangea. Edit3: To highlight the marriage of Florida with the rest of America during the Appalachian mountain building process, there is a distinct change in the magnetism of the rock below where Florida was smashed onto America. It is called the Brunswick Magnetic Anomoly (BMA) and can be seen in this map by the dashed lines. That was mentuined by Trump as a way to fund the wall, but that's not how it works. The TSA and every other furloughed worker (except contractors) are going to get backpay. Trump recently signed the bill assuring backpay. If you are a defense contractor or work in a high position within the DoD, you are paid well; otherwise, federal employees are paid below private sector equivelants. Within the subset of people paid on the general schedule (civilian pay scale system), those with a GED are paid quite well for their education. The more education and demanding of skillset you have, the worse the pay differential is with private sector. To compound this issue, the continuous pay raises below inflation and pay freezes every year are reducing people's purchasing power. What your grandmother is quoting is also a heavily skewed average comparison. Most employees reside in the DC metro area where you are given a large locality pay bumb (think its like 30% even though statistics say it should be around 80%, don't quote me). Most private sector workers reside in lower cost of living areas outside of DC and so comparing average salaries is apples and oranges. Pay is actually a major point of contention and reason for turnover. Two of my friends were on the general pay scale and ended up leaving because of poor pay. You may argue that the benefits and retirement pension are worth the low wages but consider the stress of never having savings. It's illegal no matter the agency or circumstances. The applications out there are not very good and are limited by the plethora of rock types. To make things worse, many igneous rocks require laboratory analysis to further pinpoint identification. I would start with surficial geologic maps to pinpoint what's at your feet. I cannot preface enough on having a tight belt that won't sag. The more the hammer dangles away from the waist, the more it will discomfort you. Use other holstered tools like a Brunton or bear spray on the other side of the waist to counteract the weight. Edit: Don't forget safety glasses/sunglasses. Shards of rock flying into the eyes is a dumb way to blind yourself. Estwing's lightweight rock hammer. So many people were jelly of mine because the heavier ones aren't much more effective and really cause hip pain after a full day of fieldwork. I'm going to be downvoted for this, but no, people elected politicians to do their job, not obstruct by sitting on their hands. The house has done their job of passsing the hot potato over to the senate with a clean continuing resolution, and sitting around not doing anything between comittee meetings is just as much a waste as the federal employees not being allowed to their own jobs. I say lead through action and good stewardship, not overt partisanship.